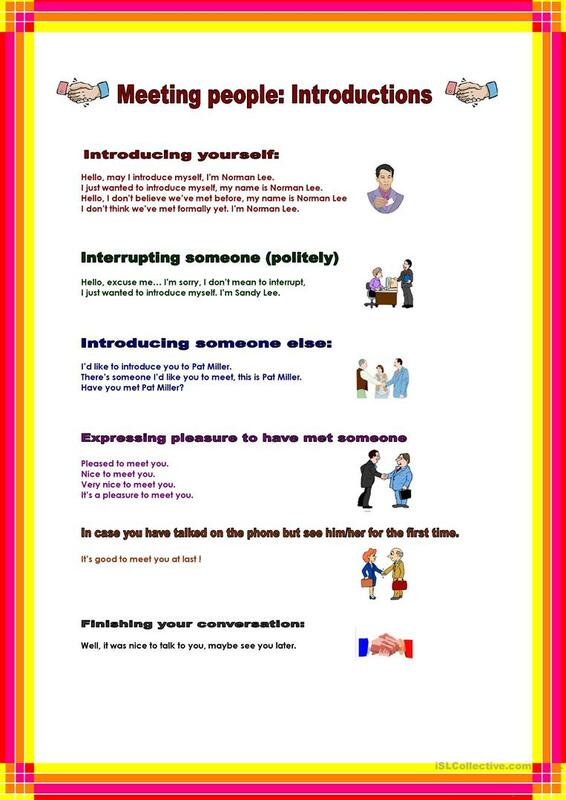 Students learn introductions: how to introduce themselves, someone else. The present downloadable printable is meant for business/professional students at Intermediate (B1) and Upper-intermediate (B2) level. It was designed for improving your pupils' Speaking skills.